The Philippine Overseas Employment Administration (POEA) announced the 200,000 job opportunities in the Middle East this year. Most of the jobs openings are located in Saudi Arabia, United Arab Emirates, Oman and Qatar. Construction is booming over the country of Saudi Arabia and other parts of the Middle East. According to POEA Admin Hans Leo Cacdac, workers could be receive a monthly salary ranging from $700 to over $1,000 and for engineers and highly-skilled workers poised to get higher salaries. He also mentioned that the country of Singapore and Malaysia are also need workers. Cacdac said, "Sa Singapore, construction, tourism, maski mga nurses, health workers. Sa Malaysia, agricultural workers." If you like to know more about the job openings, please visit the POEA website for a complete list of job openings and accredited recruitment agencies. 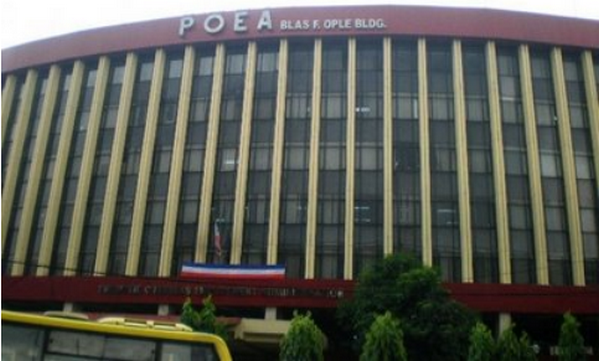 Reminders, inquire only to those agencies included in the POEA list, to be sure all transactions are legitimate. For the meantime, please bookmark this page now or visit this site more often for you to be updated. You may also share this post to your friends so they may know about 200,000 Jobs in Middle East. Comments or suggestions about "POEA announced 200,000 Jobs in Middle East" is important to us, you may share it by using the comment box below.